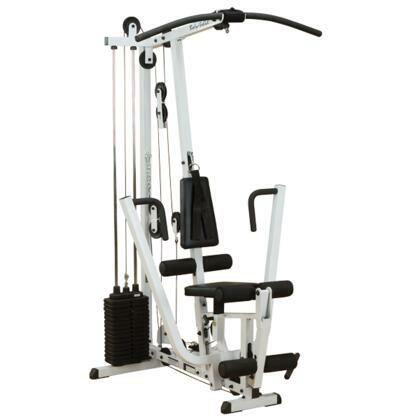 MULTI-STATION HOME GYM WITH PUNCHING BAG - 165LBS With this one station you can do arm/chest rowing, knee raises, curls, preacher curls, wrist curls, leg curls, leg extensions, ab crunches, arm pullovers, lat pulls, butterfly flyes, and a bench presses. As well as all this you have the ab tower for knee raises and tricep raises, an incline situp ab-crunch bench with two dumbbells, and a push-up station, all in one! 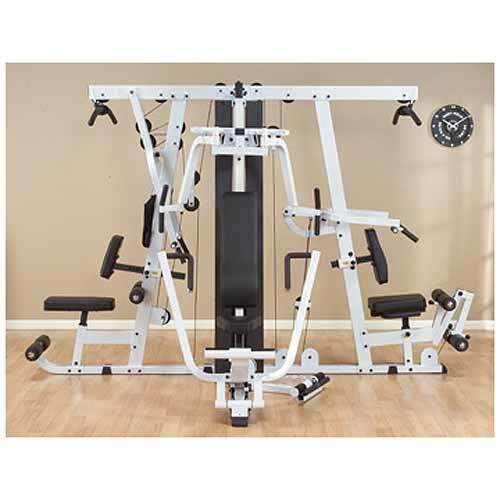 This multi-station gym is selling in retail stores for well over $800 but you can now purchase directly from us, the importer, and save a small fortune! Will it fit? : Station dimensions: 230cm(w) x 180cm x 220cm(h) Note: You will need extra room in front for leg extensions and much more width space if you plan on using the push-up station (add your body height to the width) and the sit-up bench and leg crunch tower. (add another 100cm clearance at least, on the other side). FEATURES Arm / chest rowing Knee raises Bicep curls Preacher curls Wrist curls Ab crunches Lat pulls Butterfly flyes Military press Tricep dips Leg Culs Leg Extensions Leg raises Push-ups and many more. 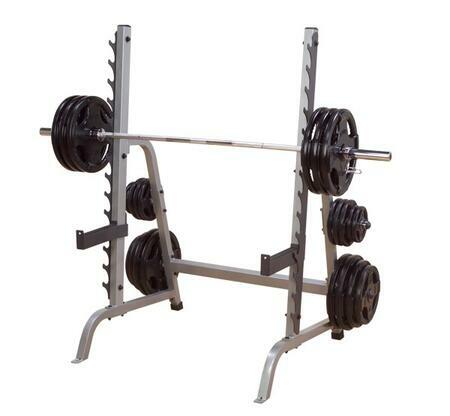 PACKAGE CONTENTS Weight Stack: 165 pounds weights stack Also includes 2 x Dumbbells (1.5kg) 1 x Punching Bag Station dimensions: 230cm(w) x 180cm x 220cm(h) Carton 1: 136 x 40 x 20cm - 23kg Carton 2: 104 x 44 x 20cm - 31kg Carton 3: 30 x 30 x 103cm - 15.3kg Carton 4: 203 x 44 x 15cm - 33kg Carton 5: 38 x 21 x 23cm - 28kg Carton 6: 38 x 21 x 23cm - 28kg Carton 7: 38 x 21 x 26cm - 28kg Note: This order will be dispatched from our Melbourne Warehouse. This item may arrive in a separate delivery to the rest of your order. Usual dispatch time is 1-2 business days from order. 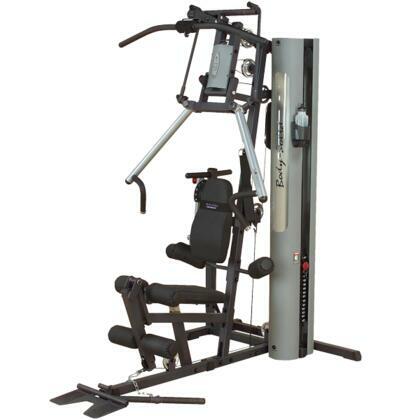 MULTI STATION HOME GYM WITH WEIGHTS 175LBS Ideal for your very own personal home gym. 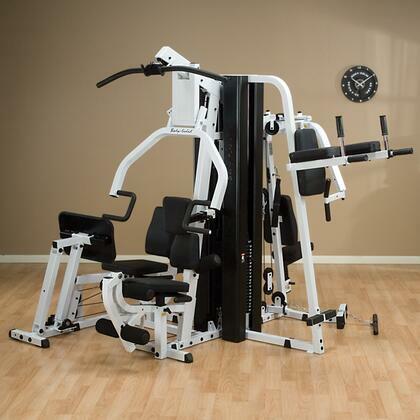 With this one station you can do arm/chest rowing, knee raises, curls, preacher curls, wrist curls, leg curls, leg extensions, ab crunches, arm pullovers, lat pulls, butterfly flies, and bench presses As well as all this you have the ab tower for knee raises and tricep raises, an incline situp ab-crunch bench with two dumbbells, all in one gym station! 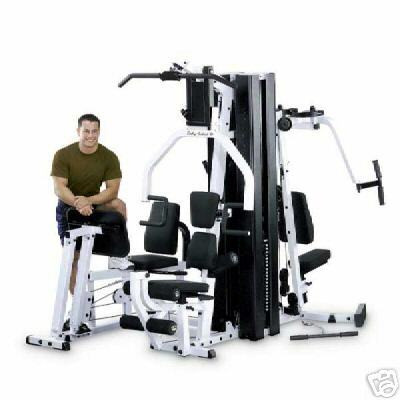 This multi-station gym is selling in retail stores for well over $1000 but you can now purchase directly from us, the importer, and save a small fortune! Please Note: Seat and padding cosmetic design may vary. FEATURES Arm / chest rowing Knee raises Bicep curls Preacher curls Wrist curls Leg curls Leg extensions Ab crunches Lat pulls Butterfly flies Bench press Tricep dips Leg raises Push-ups Weight Stack: 175lbs Plates Weight Stack Set-up Dimensions: 230*180*220cm Station dimensions: 230cm(w) x 180cm x 220cm(h) Carton Dimensions 203 x 43 x 17 - 50kg 136 x 44 x 17 - 30kg 38 x 34 x 20 - 42.5kg 38 x 38 x 20 - 40.5kg PACKAGE CONTENTS 1 x Multi Station Home Gym With Weights 175lbs 2 x 1.5kg Dumbbells Note: This order will be dispatched from our Melbourne Warehouse. This item may arrive in a separate delivery to the rest of your order. Usual dispatch time is 1-2 business days from order.